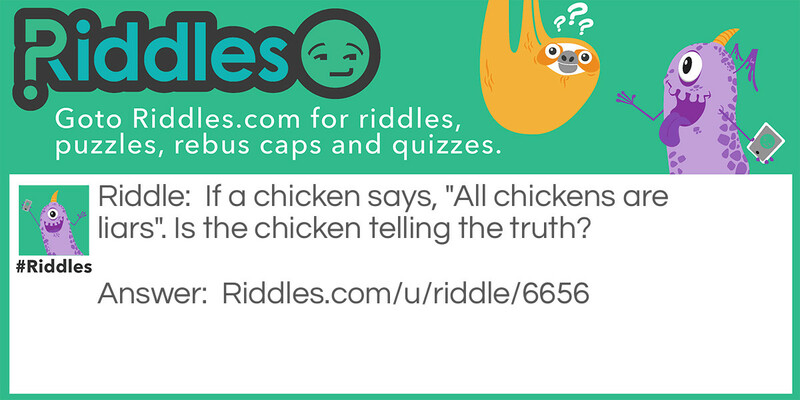 If a chicken says, "All chickens are liars". Is the chicken telling the truth? xcvbnm Riddle Meme with riddle and answer page link.